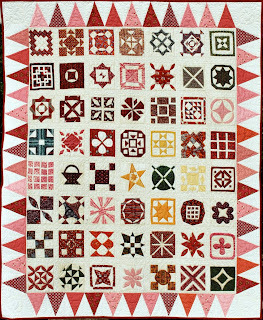 So if I understand, you scanned in a picture of a Dear Jane quilt, and printed the blocks. If it is all one size - just HOW BIG is your printer??? I think this could be a workshop for Tri-County! 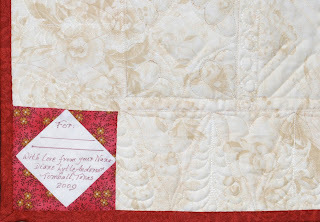 No, Betty - the interior of the quilt is a cheater panel that I bought at Houston Int'l Quilt Festival in 2008. Not big. 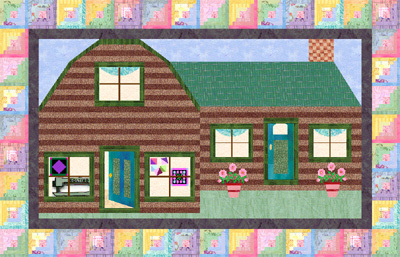 I took a photo of it, imported the photo into EQ6 and set it as a photo where the body of the quilt would be. Then I added borders around it in EQ. All I had to print out and then piece was the border. 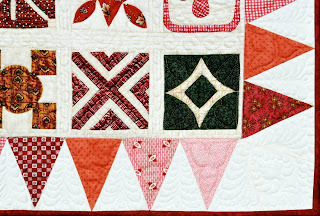 That was just sewn on to the cheater panel. Easy!